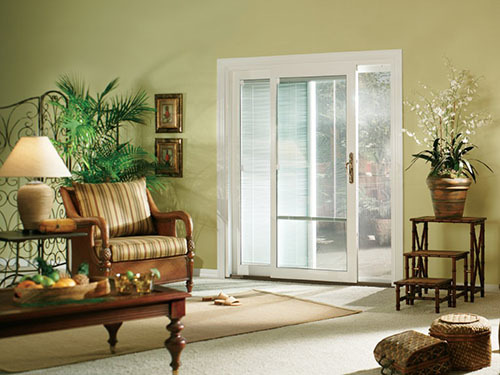 Sunrise patio doors are very well designed and offer some options not seen in other patio door manufacturers. A triple point lock is standard on Sunrise patio doors and so if security is of a concern, this door is for you. The SUNBLINDS that Sunrise install in their patio doors offer both a TILT and LIFT option. 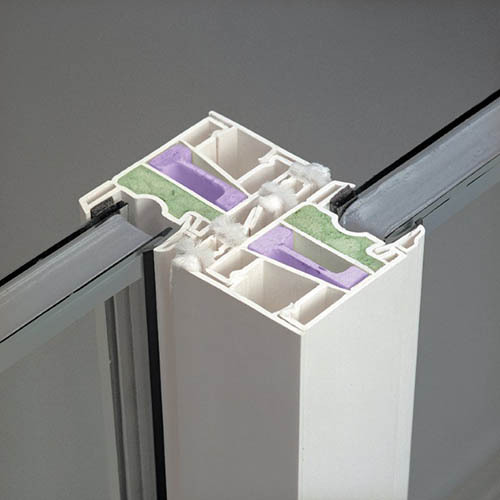 A lot of other companies only offer a tilt option and so this door allows for maximum privacy and with the slight movement of your finger you can change to full view. SUNBLINDS are available in five distinctive colors and two beautiful styles. The Sunrise patio door solves another problem, screen doors difficult to slide. How? The sliding screen is just like a sliding closet door, It’s top hung to ensure smooth operation year after year. This fiberglass structural core is constructed like an I Beam giving the ultimate in strength. 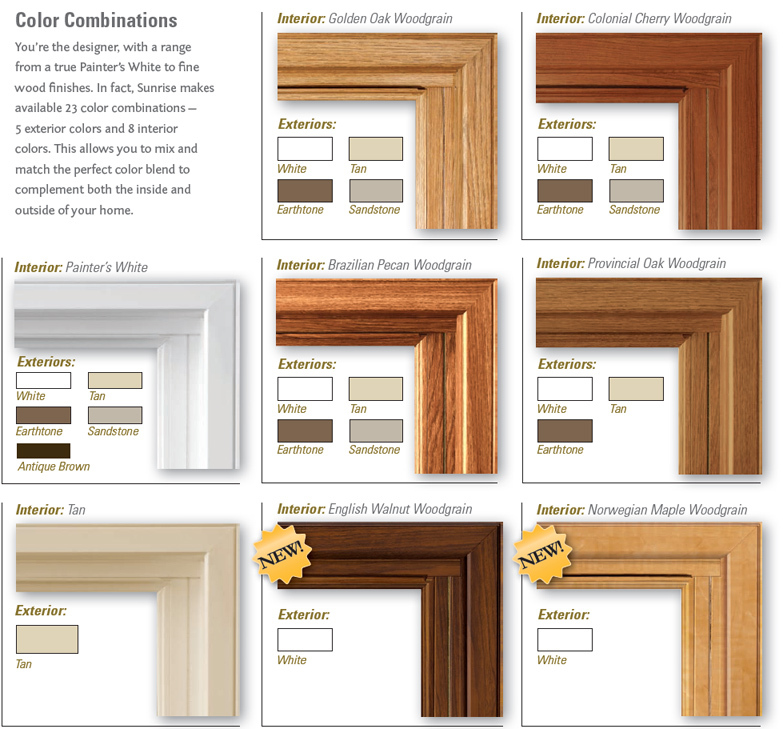 Combine this with our polyurethane insulation and you have a door that will solve all your patio door problems.